How WannaThankYou Doubled It's User Count In 30 Days. WannaThankYou (WTY) is a social network to promote gratitude, wherein you can share your Thank You message, and express your gratitude. WTY also recognizes NGOs that have been making a difference and shares the Goodness with the world. WannaThankYou is a whole new concept, and we had to create a 'buzz' for the brand. First Launch, whose true north has always been growth, decided to kickstart with the “WTY Ambassador Campaign”, a word-of-mouth approach that we adopted to market the platform. It was essential for the brand to attract believers of the concept of WannaThankYou to endorse the product among their network. To make it more fun and exciting, attractive goodies were announced for the users who managed to bring in more users to WannaThankYou platform and got them signed up. The WannaThankYou Ambassador Campaign was one of the biggest campaigns by First Launch. 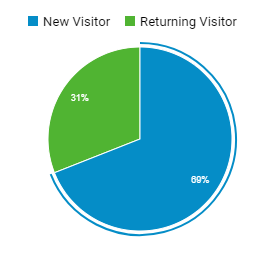 One can imagine the level of excitement among the Launchers when we were able to see an increase of users by over 148% and when the page views shoot up by about 163% within a month. Challenge is what we seek for because we dare to experiment!